Looking for a new crossover that's fun to drive, technologically advanced and budget friendly? Then you've come to the right place. 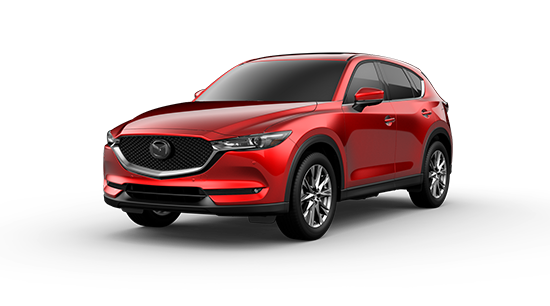 Ourisman Mazda in Laurel has the new 2019 Mazda CX-5 in stock now and available to test-drive. Visit your preferred Mazda dealer today and choose from the 2019 CX-5's Sport, Touring, Grand Touring, Grand Touring Reserve and Signature models. 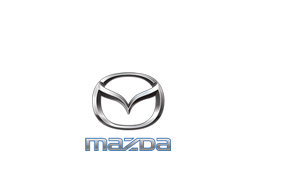 Our Mazda dealership in Laurel, Maryland is proud to serve drivers from Columbia, Glen Burnie and the surrounding areas. With 5 models to choose from, the 2019 Mazda CX-5 gives Laurel drives the versatility to choose their ideal balance of performance and fuel efficiency. The first 3 Mazda CX-5 trims - Sport, Touring and Grand Touring - come standard with a 187 horsepower SKYACTIV-G® 2.5L 4-cylinder capable of up to 186 horsepower and up to 310 lb-ft of torque. These models come standard with front-wheel drive, but they can be equipped with available all-wheel drive for added traction. When outfitted with front-wheel drive, the Mazda CX-5 can deliver an EPA-estimated 25 MPG city and 31 MPG on the highways of Maryland. With all-wheel drive, these numbers only dip 1 MPG, according to EPA estimates. For more power, Laurel drivers can choose the 2019 Mazda CX-5 Grand Touring Reserve or the 2019 Mazda CX-5 Signature. Both models are equipped with a 2.5L SKYACTIV-G® turbo 4-cylinder engine that can produce up to 250 horsepower and 310 lb-ft of torque with the use of premium fuel; or up to 227 hp with regular unleaded. These 2 models come standard with Predictive i-ACTIV® all-wheel drive and have an EPA-estimated rating of up to 27 MPG highway. Not sure which model is right for you? Test-drive them all at your preferred Laurel, MD car dealership. 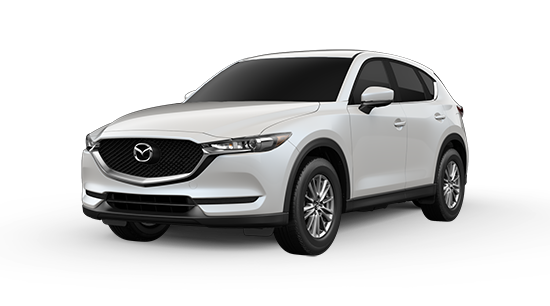 Ourisman Mazda carries the full 2019 CX-5 lineup your convenience. Our dealership is proud to serve drivers from Columbia, Glen Burnie, Laurel and the surrounding areas in Maryland. Although the 2019 Mazda CX-5 is technically a compact crossover SUV, it doesn't seem like one on the inside. Featuring 103.6 cubic feet of overall passenger volume and 59.6 cubic feet of cargo room, the 2019 CX-5 is as spacious as it is powerful and efficient. It also comes with a wide variety of standard and available convenience and tech features to keep you and your passengers comfortable and entertained. Want to explore all of these great features for yourself? Then visit Ourisman Mazda in Laurel today for your test drive. Our dealership is proud to serve drivers serve drivers from Columbia, Glen Burnie, Laurel and the surrounding areas in Maryland. The 2018 Mazda CX-5 was named a Top Safety Pick by the IIHS for its response to crash tests, and the 2019 model looks to improve on Mazda's dedication to safety. That's the kind of protection you should put your confidence in. With all the great features the 2019 Mazda CX-5 has to offer, why settle for any other crossover SUV? Stop by your preferred Mazda dealership today for your test drive. Our Laurel, MD car dealership is proud to serve drivers from Columbia, Glen Burnie, Laurel and the surrounding areas in Maryland. Ready to get behind the wheel of the new 2019 CX-5? Then stop by your preferred Mazda dealership today for your test drive. One test-drive is all you'll need to discover why more drivers like you are choosing the 2019 Mazda CX-5 over the competition. Aside from a full lineup of new Mazda models, Ourisman Mazda also offers an extensive selection of Certified Pre-Owned Mazda models and quality used cars at a great price. Stop by today and see how much you can save. Our Laurel, MD car dealership proudly serves drivers from Columbia, Glen Burnie and the surrounding areas.